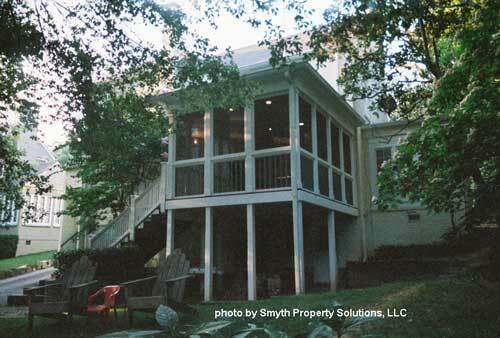 Looking to Build a Screened Porch on Your Deck? 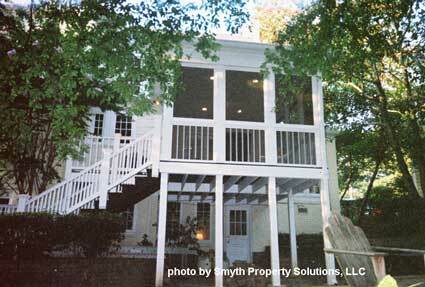 One of the most efficient ways to build a screened porch is on an existing deck or patio. 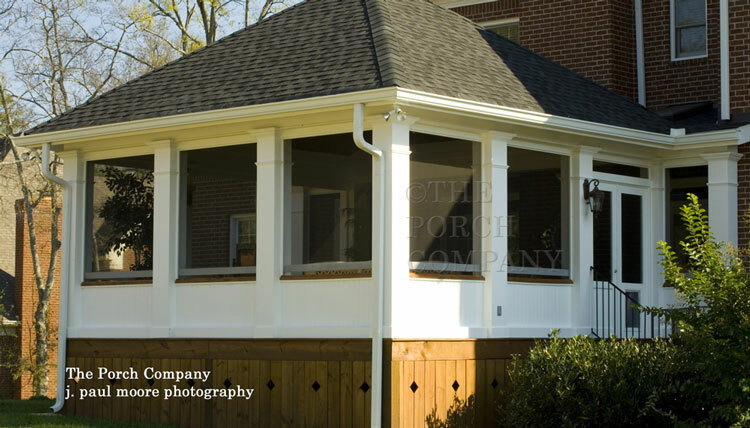 No matter which method you choose to build your screened porch over your deck or patio, you will hopefully find that it is relatively easy. It is also cost effective, too. Why? Because you already have the floor in place. Yes! 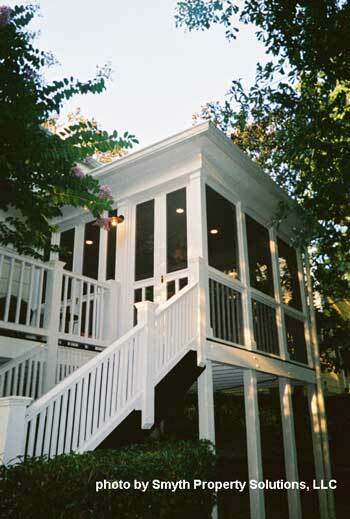 You could either use a screened porch kit to build your screened porch on your existing deck or patio - or you could construct columns, roof and frames for the screens. 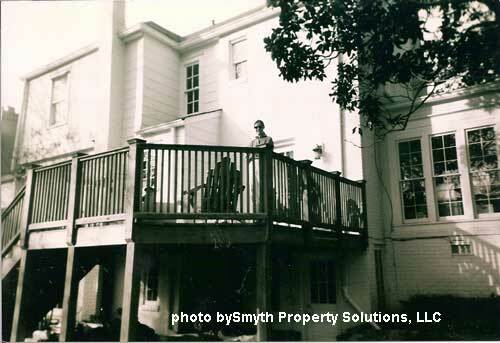 Make sure your deck or patio is in very good repair. There is no sense in going to the trouble and cost of building a screened porch if your deck won't last several more years. Even if your deck flooring is in good shape, your joists and posts may not be. Check for rotting posts or dry rot on your joists. If you do encounter issue, make the necessary repairs first. Consider updating your deck flooring if it appears worn or is cracking, etc. You have lots of flooring options from replacing your existing flooring or opting for interlocking tiles - an amazing product your should investigate. You'll have to determine if you will keep your railings or opt for other options like floor to ceiling screen panels. 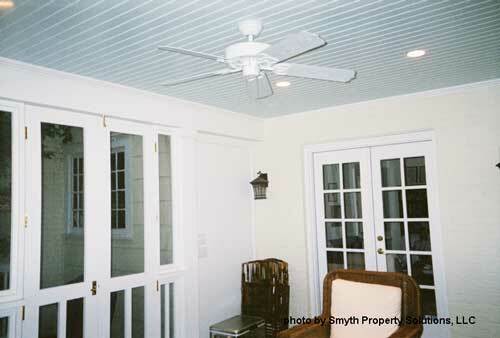 My favorite option is screened porch windows - a great product that I wish had been available years ago. Sure saves a lot of aggravation because you don't have to store windows in the summer and then install them in the winter. If installing over a concrete patio you have other flooring options also. Not only will interlocking deck tiles work perfectly over concrete, you can also stain or stamp your concrete floor to give it a fantastic look. 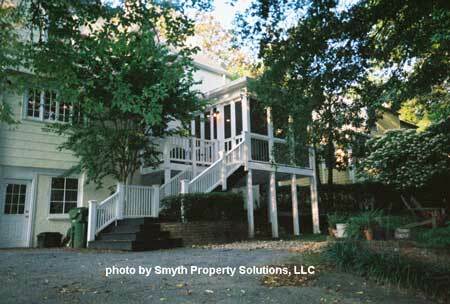 We are pleased to show you before and after pictures of a screen porch case study by Smyth Property Solutions, LLC in Atlanta GA. We appreciate their generosity in allowing us to show you their construction project regarding an existing single family 2-story brick home in Atlanta, GA. 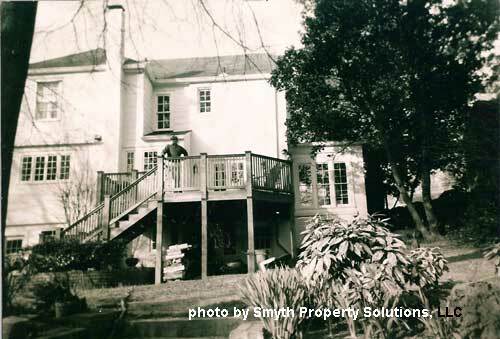 The existing living room, as well as the deck off the back of the house, was not serving the family's lifestyle comfortably enough. They longed for more day-to-day living space, within which they could expand their seating arrangements and have more "seasonal" options for living. Inside, a beadboard ceiling was designed with new recessed down lights and a new ceiling fan and speakers wired back to the main house stereo system. New wood flooring and stair treads were stained black to create a simple and fresh contrast (in keeping with the client's style). 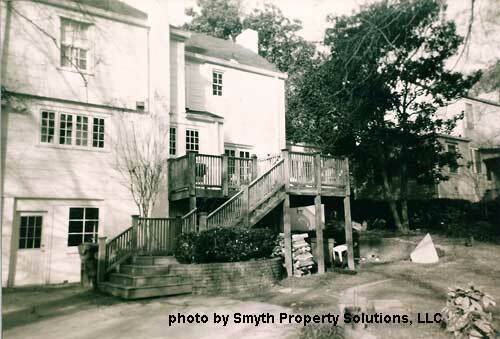 For more information about this screen porch project and others by Smyth Property Solutions, LLC be sure to check out their web site.